AFTER THIS WEEK’S sos beag, the Six Nations thankfully returns next weekend — and so does our very special Six Nations Rugby Show Live. Ireland’s start to the campaign hasn’t always been flawless, but with two wins from two, they’re perfectly poised to challenge for the championship between now and St Patrick’s Day. Wales, the visitors to Dublin on Saturday week, will have different ideas, you’d suspect. For our third live show, we’ll be joined by Grand Slam winner Tomás O’Leary who will line out alongside Murray Kinsella and our host Gavan Casey to preview all of the Week 3 action. After kicking off the tournament with two sold-out events, we’ll be in the East Side Tavern on Dublin’s Leeson Street on Thursday 22nd February where Tomás, Murray and Gavan will break down the Xs and Os, make their predictions and answer your questions. If you and your friends want to be a part of the conversation, put your questions and thoughts to our panel, and enjoy a drink, join us for a great night out. Tickets are priced at €10 and available to buy online here. Capacity for the Volkswagen-supported event is limited so get yours now to avoid disappointment. Please note the show will be filmed and broadcast. 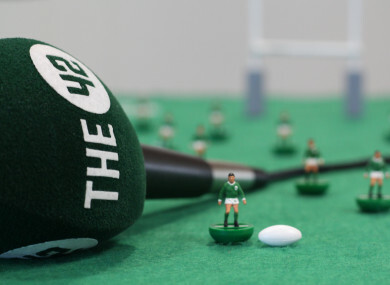 Email “Be part of the audience for our special Ireland v Wales Rugby Show live event”. Feedback on “Be part of the audience for our special Ireland v Wales Rugby Show live event”.